James K. Robertson Jr. - Mediator & Arbitrator based in Waterbury, Connecticut. Please click your preferred available date to submit a request. Your Appointment Form will be sent to James' assistant, Kristin L. Hansen. Jim has served as the sole arbitrator, neutral arbitrator or mediator in disputes between law firms; among directors of corporate and non-profit boards; among heirs, creditors or beneficiaries of estates; between licensees and licensors, inventors and patentees, employees and their employers; among hedge fund managers, parties to construction contracts, environmental contamination claims, and many types of business partners; and among litigants in personal injury and wrongful death cases. He has also served as a Special Master, appointed both the estate and federal courts. He is currently serving as the Special Master in the 150+ lawsuits pending against St. Francis Hospital and as the National Moderator of the United Church of Christ. Jim is a partner at Carmody & Torrance LLP. He is recognized as a "Local Litigation Star" in Benchmark: Litigation as well as profiled in Chambers and Partners’ Leading Lawyers for Business. 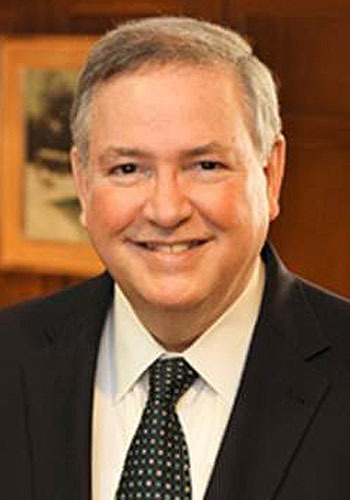 Jim has also been recognized as one of the "Top 10 Superlawyers for Connecticut" and "Top 100 Superlawyers for New England"; and in Woodward White’s Best Lawyers in America. He is a Fellow of the American College of Trial Lawyers and the American Board of Trial Advocates. He has served as a Superior Court Judge and as Managing Partner of the Carmody & Torrance.